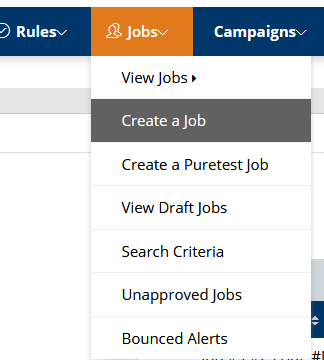 After logging into the application, select the “Create a Job” option by hovering over the “Jobs” tab above. Fill out the Job Information by creating a name for the job you would like to create. There is also an option to save that job in a folder. The Recipient information section is where you select the list you would like to send to. See How To Create A List for how to upload a list to the application. Job Settings is where you determine what you want the mailing to say in the “from/reply to” field. Also you can assign the Rule set to the job. Select a cluster from which you would like to send your mailings from. Select from drop down field the message you would like to send in this job. Also choose an email address from the “Saved Email Addresses field on the right, select the email address you wish to send from. Be sure to include a “Personal Name” and a “Subject for you mailing. When you have made sure that the Job has been configured correctly “Click To Continue”. 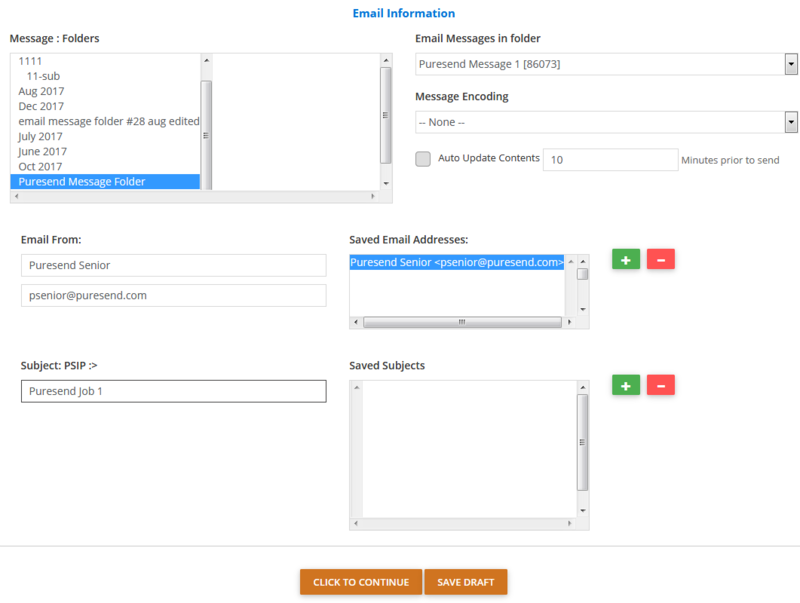 You can also select different message encoding type from the dropdown. 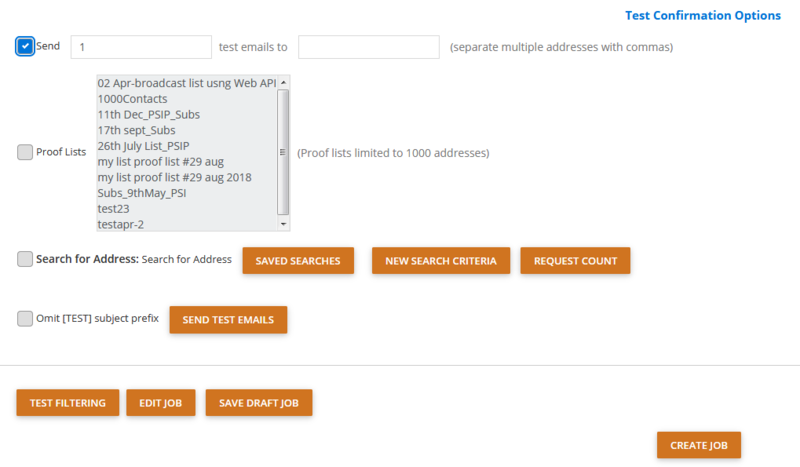 At the bottom of the next page, you may choose to “Send Test Emails”, “Edit Job”, or you can “Create Job” which will start sending out the mailings.